The Northern Marianas Islands flag has represented the island for less than half of a century, but it draws on a vexillological tradition that stretches back to the middle of the 20th century. The modern flag of Northern Marianas combines symbols that represent the natives of the islands and their traditional culture with a symbol of the United States of America in order to create a Northern Marianas flag that can accurately represent both the people of the island and their close relationship with the United States of America. 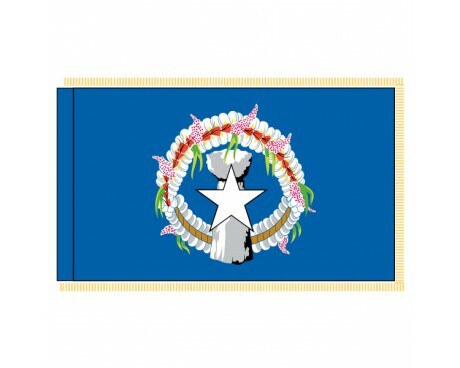 The flag of Northern Marianas has a dark blue field that proudly displays a complex emblem. The emblem is made up of a floral wreath that surrounds a latte stone with a white star placed over it. The star represents the United States of America, while the stone and the wreath represent the traditional culture of the Chamorro people who live on the islands. 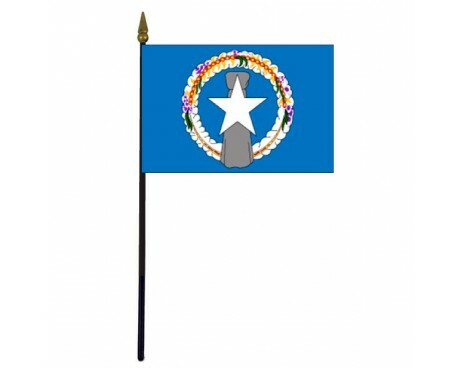 The blue field of the Northern Marianas flag represents the Pacific Ocean and honors the significant role that the ocean has played in the history of the islands and their people. Several Northern Marianas Islands flags have been used since the end of the second world war. The islands fell under the jurisdiction of the United Nations after the war, so they used the flag of the United Nations until more specific arrangements were made for the management of the islands. 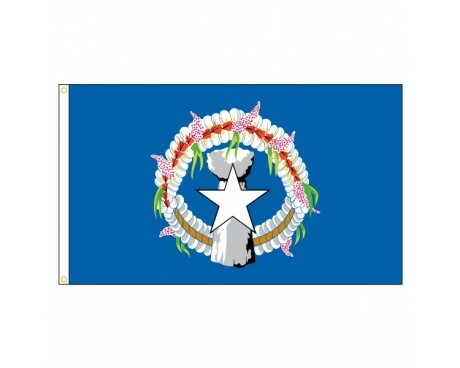 The flag came into use in 1947 and remained in use until 1965, at which point the islands became part of the Pacific Islands Trust Territory. 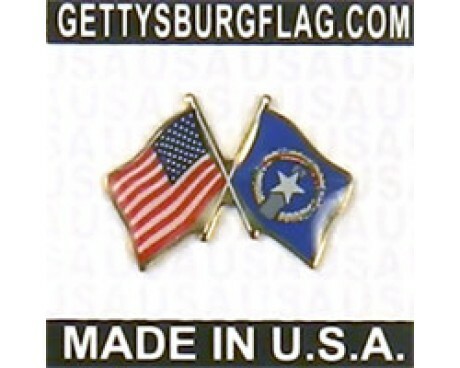 The territory used a flag that consisted of a light blue field with a circle of six white stars in the center. That flag fell out of use in 1972, which began a period of four years in which the islands did not have an official flag. An unofficial Northern Marianas Islands flag that resembled the modern flag but did not include a wreath was used during that time, and it received official approval in 1976. It was replaced by a flag that resembled the modern flag but used a different shade of blue for the field in 1981, and that flag was replaced by the current design in 1989.